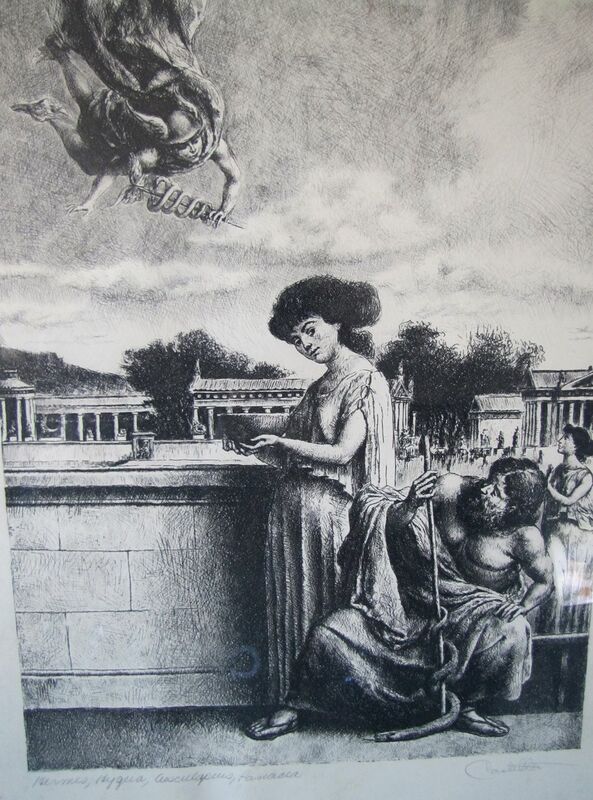 Original, vintage (1967), framed engraving of medicine Gods, Hermes, Hygeia, Aesculopeus and Panacea. 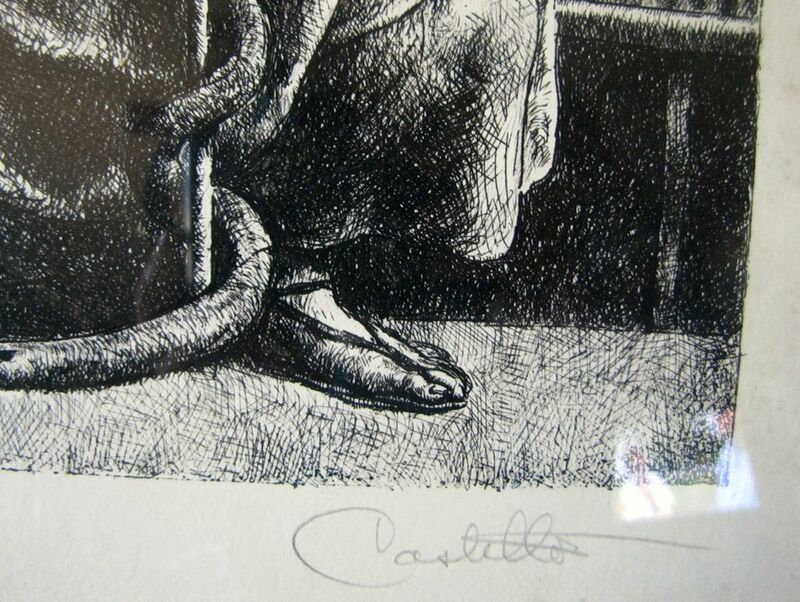 It is titled and signed in pencil by the artist Castello. 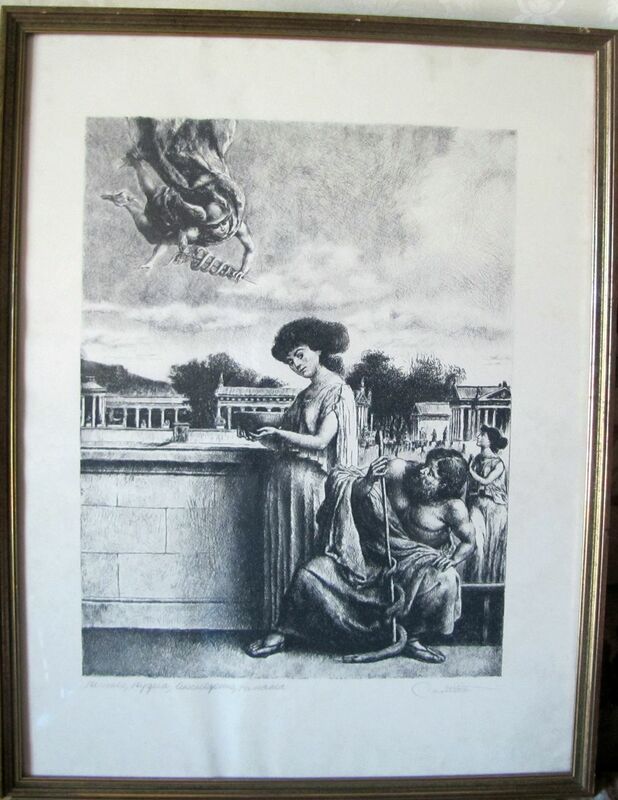 This print has the original gold colored with green frame which measures 27" by 21". 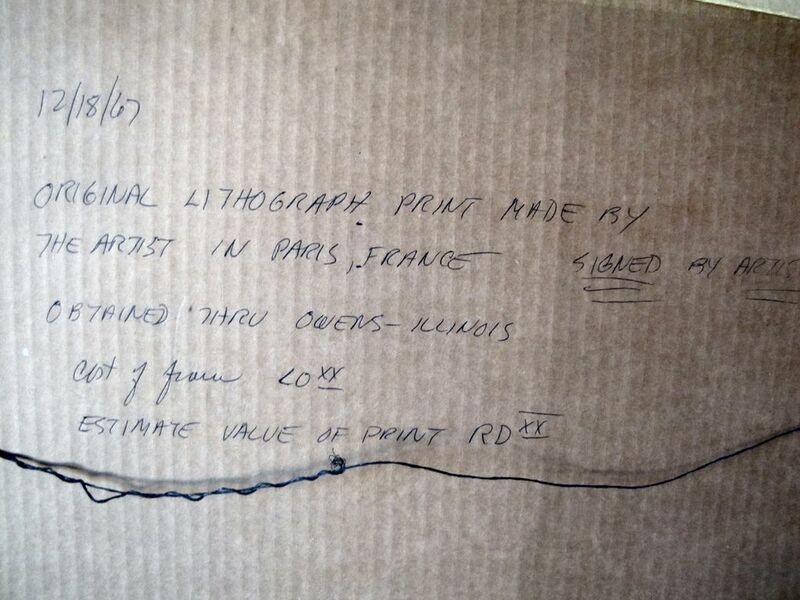 The paper is watermarked with the BFK Rives mark. 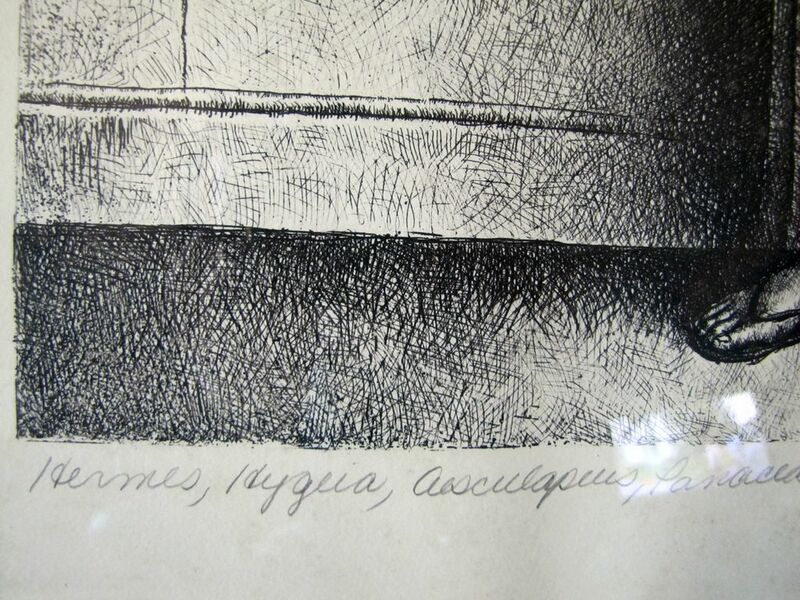 The back has writing to indicate the provenance of this fine old lithograph.